Pretty sure Spider-Man takes it. 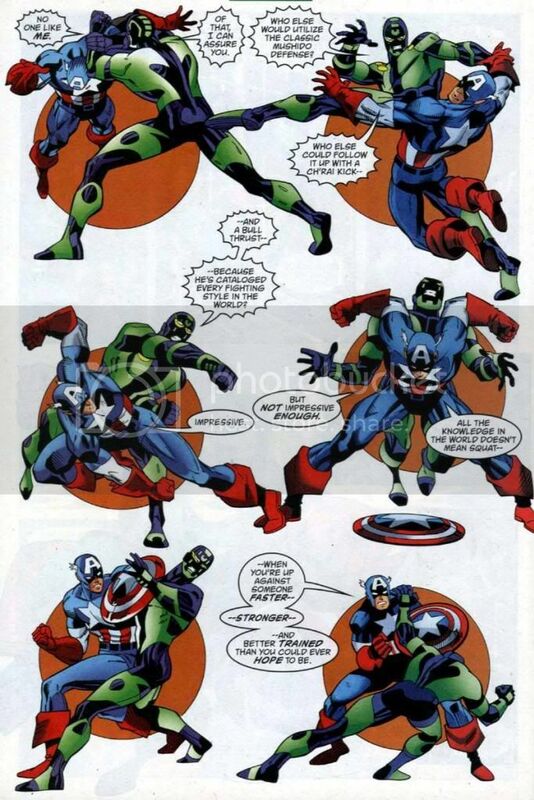 To be honest I am not as well versed in Captain America as Spidey but I feel like I know enough to hand Spidey the win. It would be a very long fight. 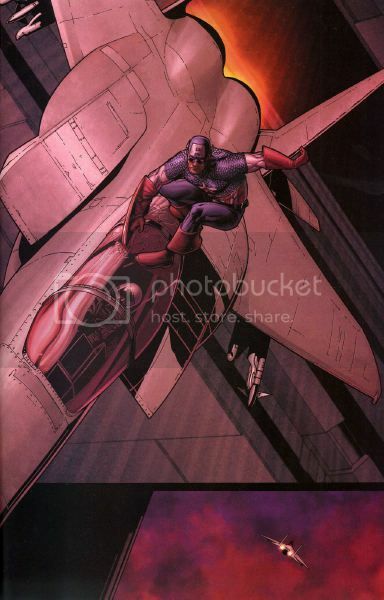 The big difficulty for Cap would be he would need to try to trick Spider Man or slow him down. Spider Man has spider senses that could warn him of a attack. 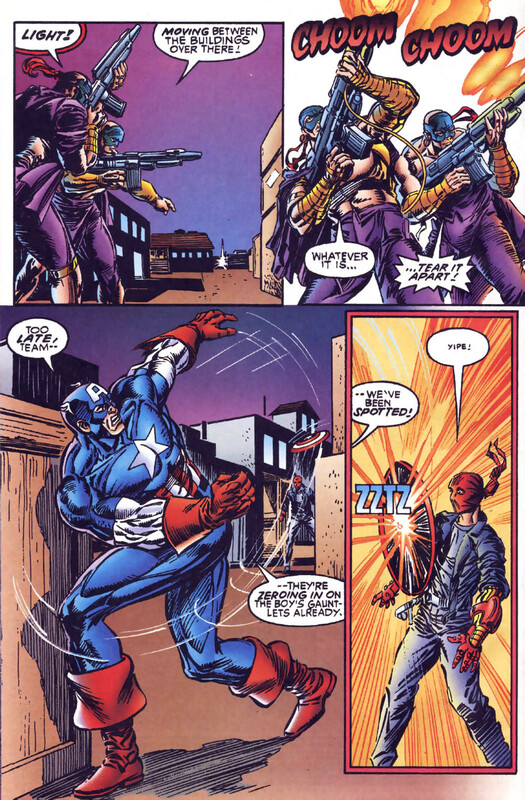 Cap does bring knowledge of several fighting styles but none of that would work if Spider Man is warned of danger and could easily avoid the punches and kicks of Cap. 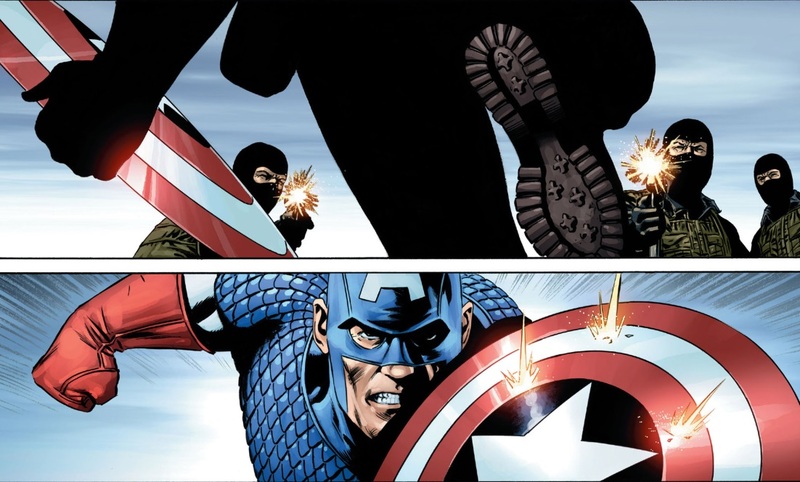 If Cap could find a way to somehow ground Spider Man and keep Spider Man from getting away then that's a different story. Spider Man has the way of the Spider fighting style but that is just 1 style. 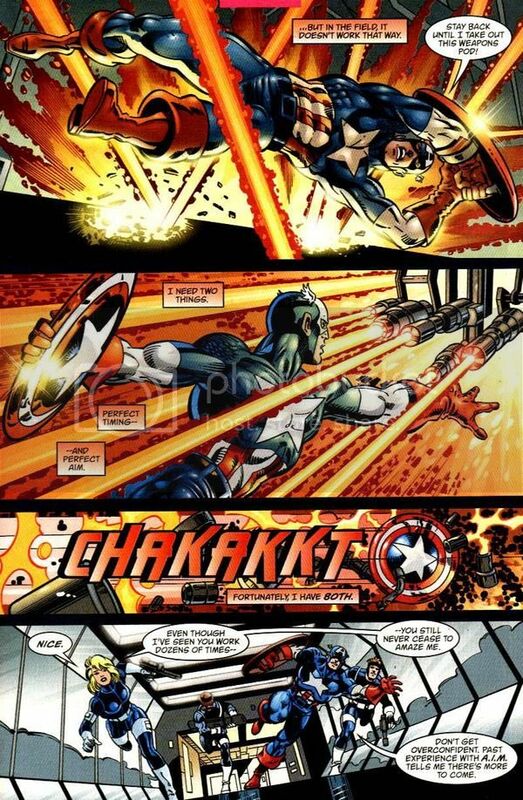 Cap has several styles which is beyond what Spider Man can do. Spider web wont hold Cap down for long as Cap brings the strength to easily get out of webbing. 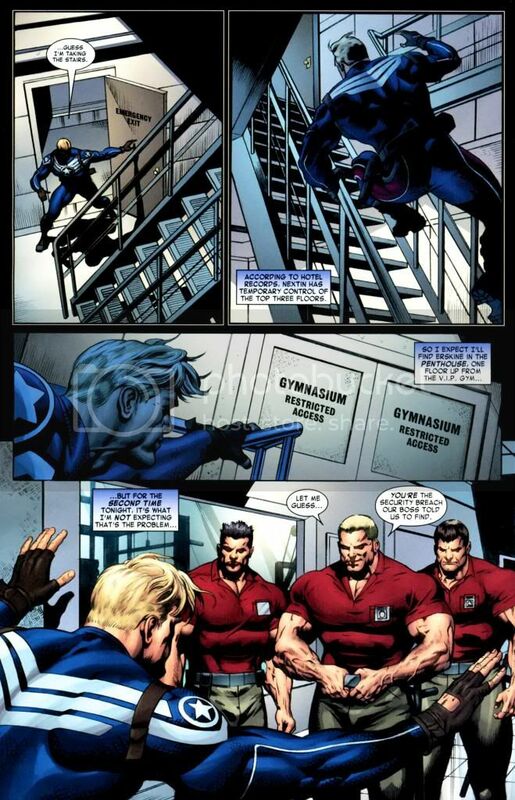 Spider Man could probably match maybe even surpass Cap in speed and agility and smarts. Spider Man is known for a genius IQ and would need to use this more to his advantage. 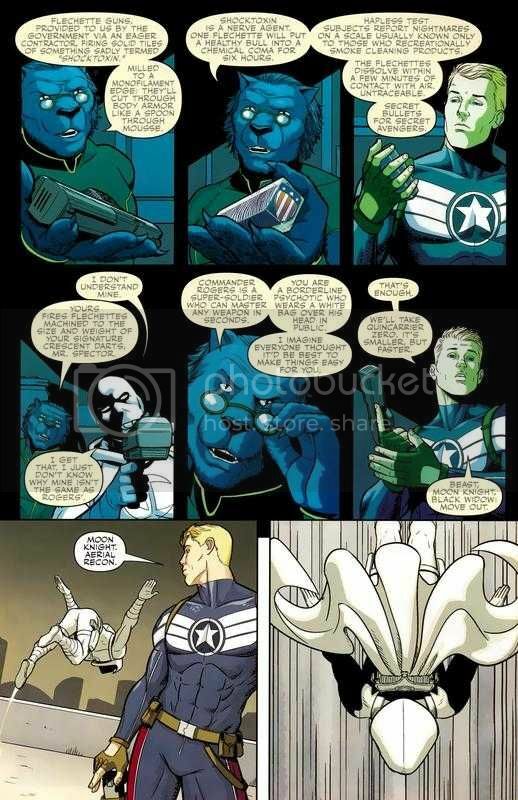 Cap is no dummy but not even he has a genius IQ. 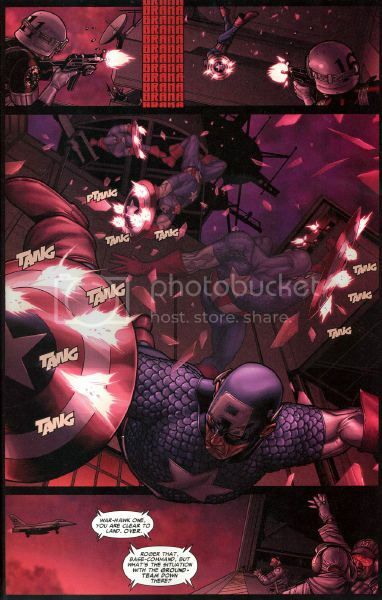 So if Cap can keep a direct fight on Spider Man and prevent him from moving around and somehow find a way to trick Spider Man's spider senses then Cap stands a pretty good chance of winning. 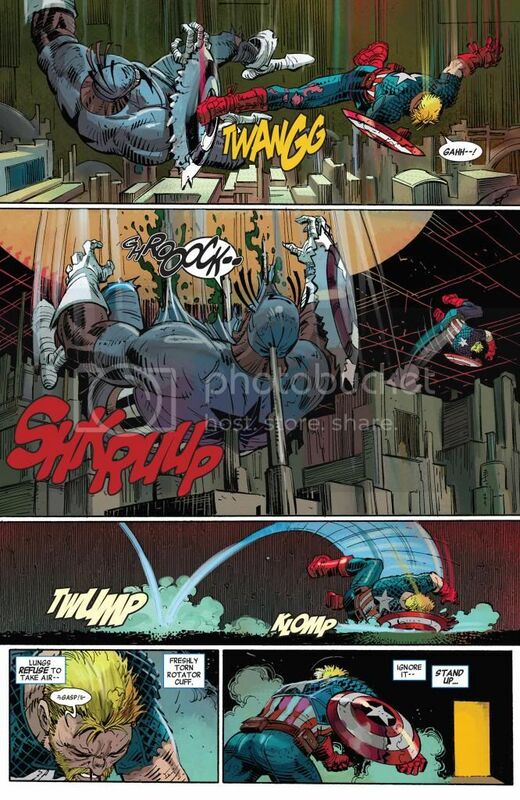 But Spider Man keeps this type of fight on hit and move and smarts Spider Man wins. Stop bumping this mismatch and stop using these silly, nonsensical ideas for Cap being able to win. How is it a mismatch to you? @apile_li: Captain obvious to the rescue. 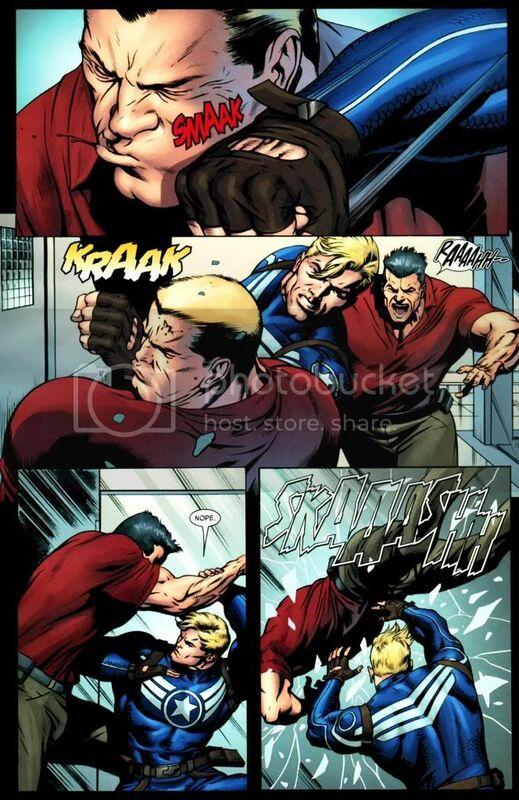 Cap puts up a good fights due to better experience and skills (such as tactics and fighting). Without plot: Spiderman in a hit. With Plot: Captain in a hit. Spiderman backhands Cap and leaves him a sloppy mess. This ain't a Marvel story. Hasn't this been done...like, a lot? 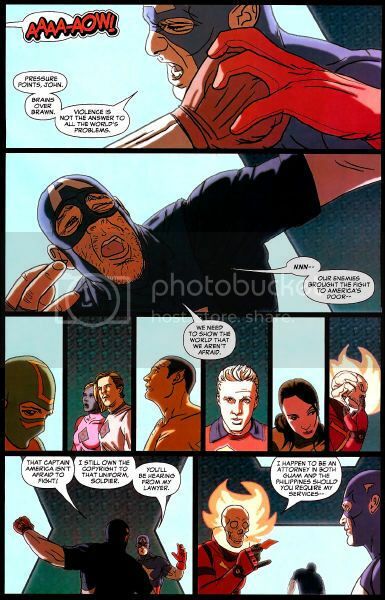 Anyways, Spider-Man should be more than a match for Captain America, but with that said, Steve certainly has the upper hand in experience. However, I don't think experience is a powerful-enough factor to put down Peter. If he gets past his hero worship, Pete will dominate. How will this be a good fight? Steve is outclassed in every way. Every significant way that is. Him being more experienced doesn't let him react in time or hit harder. Spider-man by far. 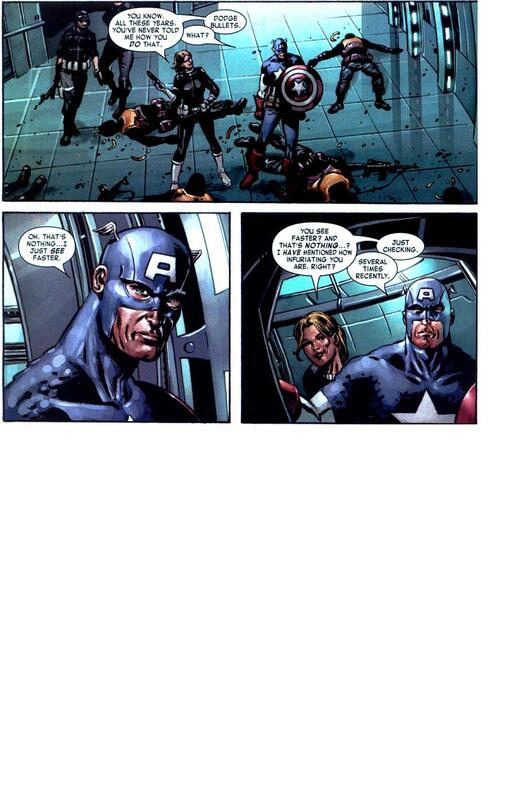 He is ultimately superior to Cap in every way. In CW he was holding back. Spidey wins. Lol at people using the CW movie as example. @eternal_chaos: This one is the first, retard. 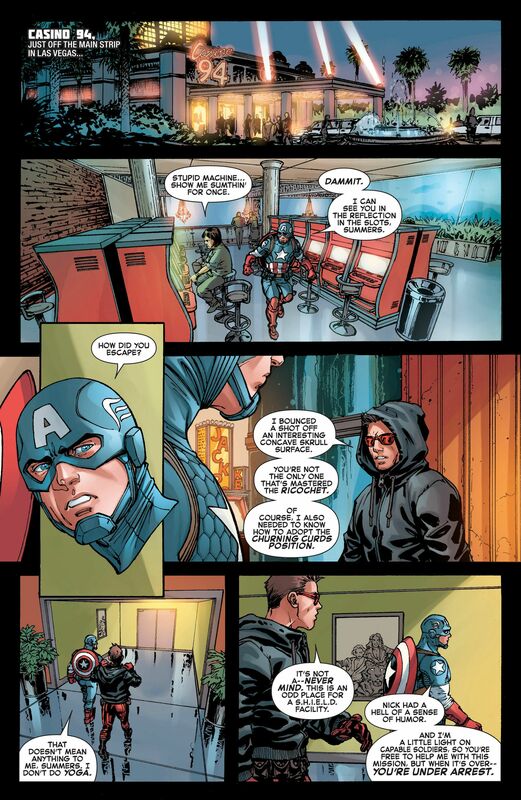 @marvelbro: I'm sorry, what are you babbling about? 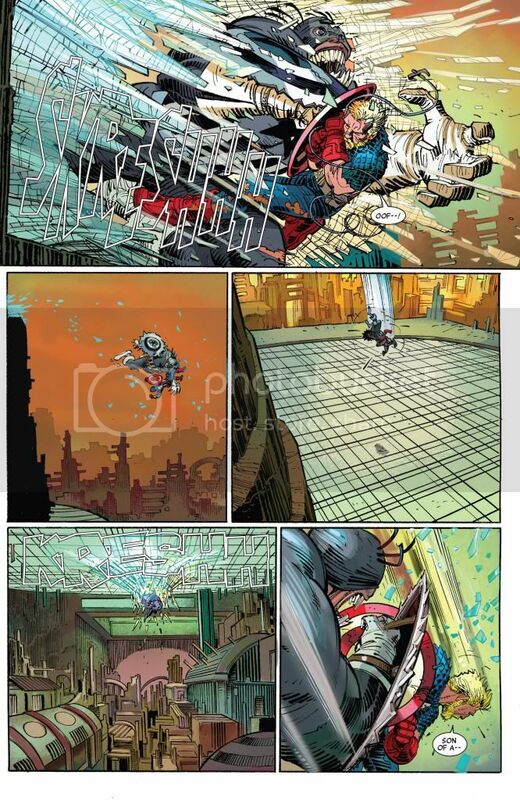 @alexander_anderson: But Cap's Final Justice Should K.O Spidey. 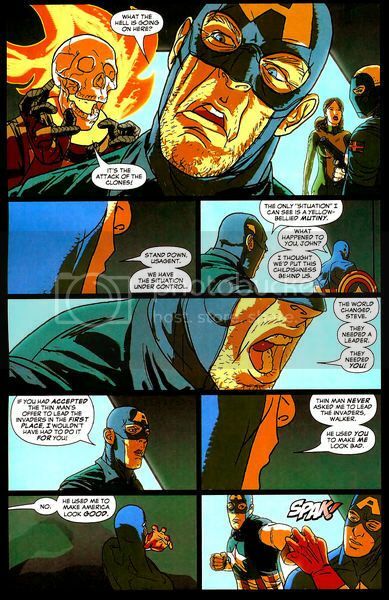 616 Cap? Spider-Man wins in a massive curbstomp. 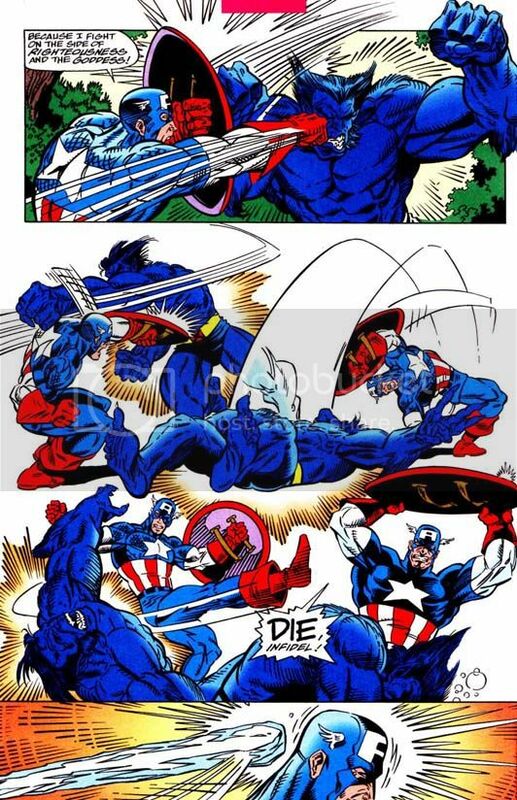 Ultimate Cap would be more fair, however he would still lose. I would go as far as to call it a mismatch. Why was this bumped? 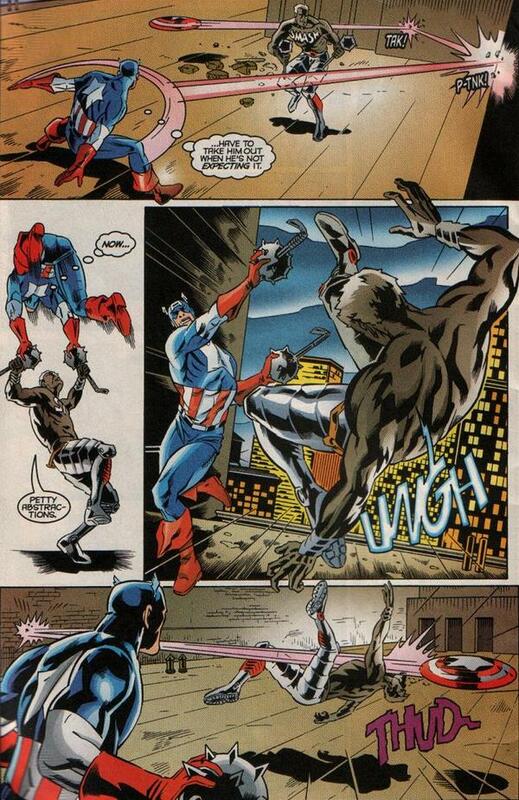 If spidey gets serious he murders cap. 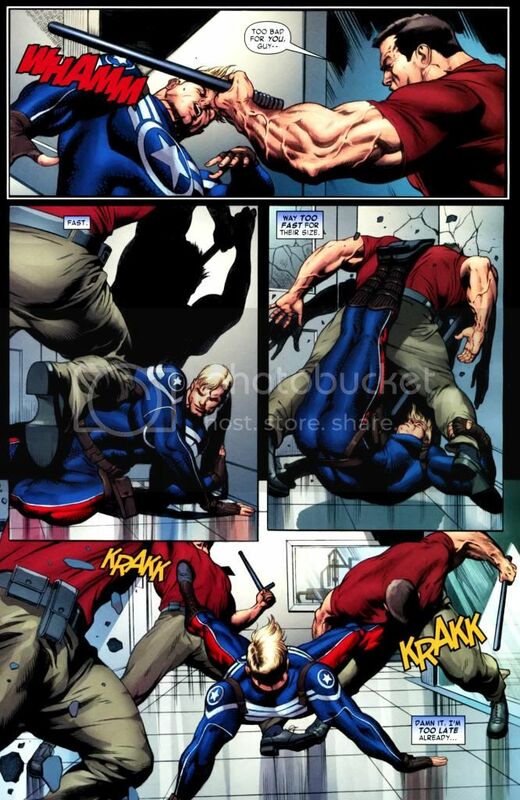 He can web him up and just punch cap until he's dead seeing how spidey is WAY stronger than cap. Now if it was ultimate cap, cap would fare better but still lose. 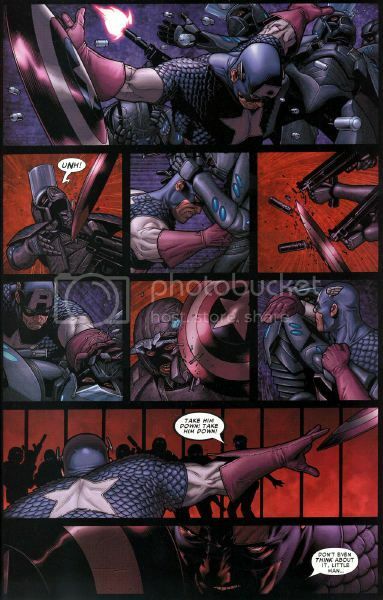 People ACTUALLY think Cap beats him. Hahahaha. Spidey stomps. He beat Nuke to a bloody pulp. 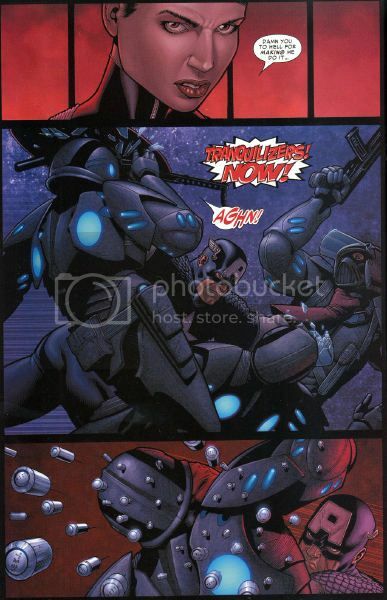 Nuke is a superhuman who took automatic gunfire to the face no problem and treated a grenade as a mere nuisance. 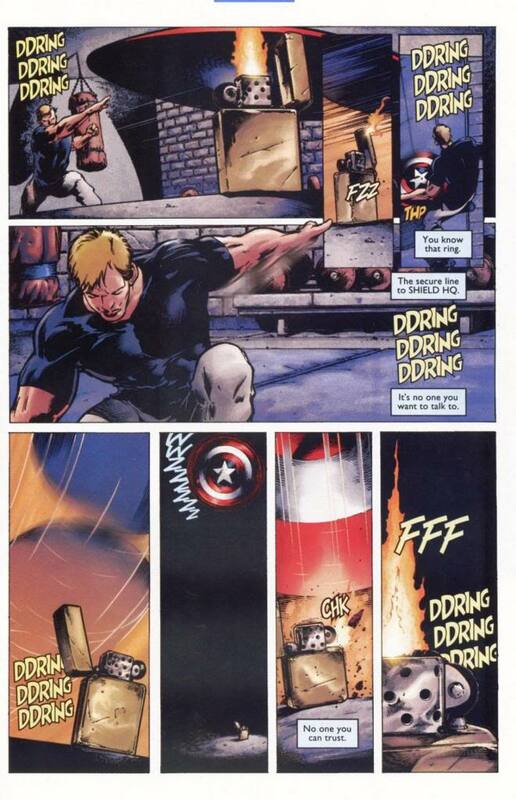 Able to defeat a fighter that cataloged "every fighting style in the world"
Shield Feats: Steve's iconic shield is a mix between vibranium and adamantium giving it unique qualties from both metals. Hit's as hard as adamantium but absorbs vibrations and certain energy like vibranium. It takes high tier matter manipulation or magic to break apart the shield. @superman52445: Alot of those are good but alot don't come close to Peter. 1. 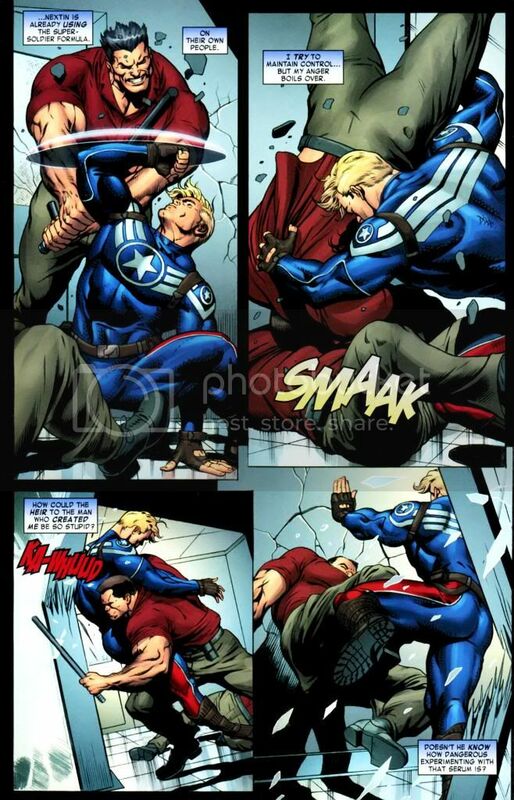 Without the SSS (Super Soldier Serum), takes down a few SSS-induced goons using pure fighting skills, then takes down more after being restored with the SSS. 2. 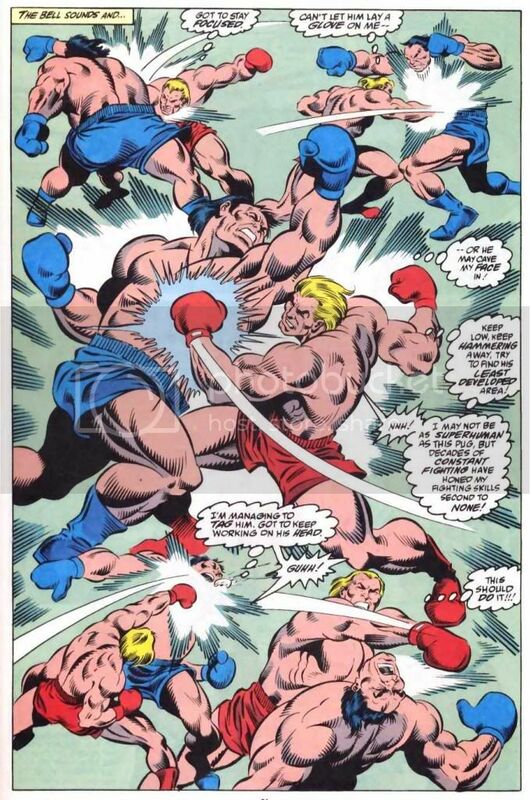 Holds his own against the Hulk. 3. 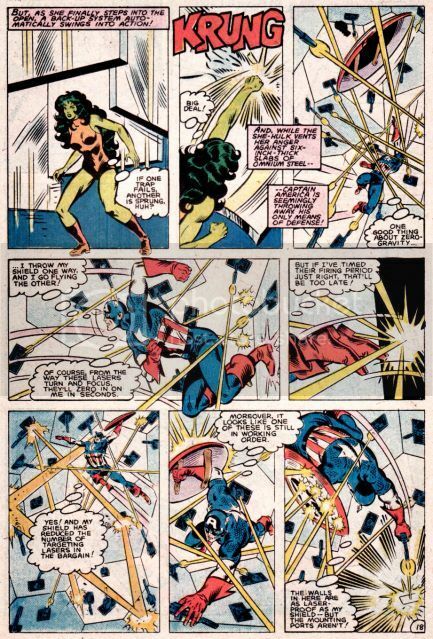 Single-handedly takes out a group of Asgardian Trolls. 4. 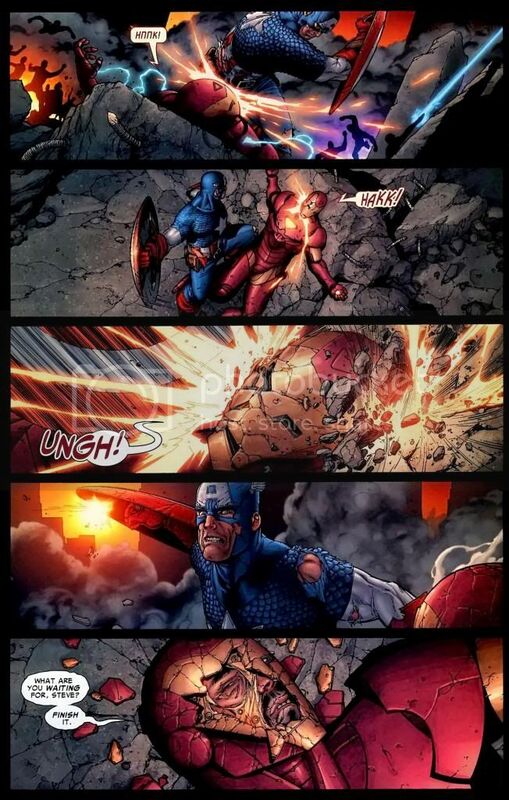 Saves Tony Stark from a huge monster. 5. 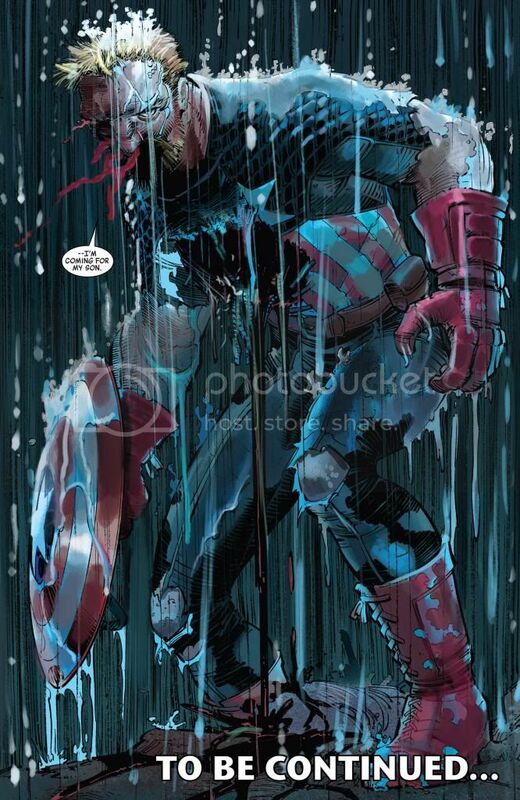 Proves worthy of Mjolnir. 6. States that he is adept in every form of H2H combat. 7. 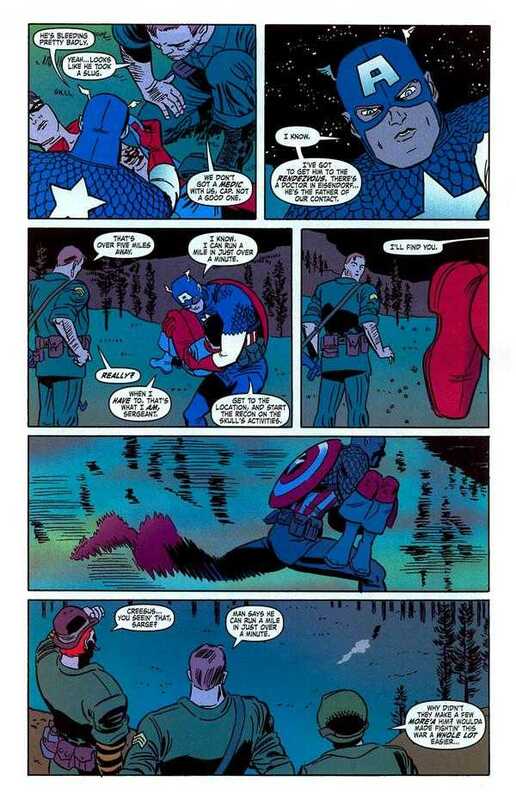 Being trained to become Captain America before the SSS enhancement. 8. Strength described as being preternatural. 11. Hauls a supply truck. 13. Almost outruns a group of large birds capable of running up to speeds of 50 miles per hour (while in the snow). 16. Rips a statue out of its base while bound to it. 17. 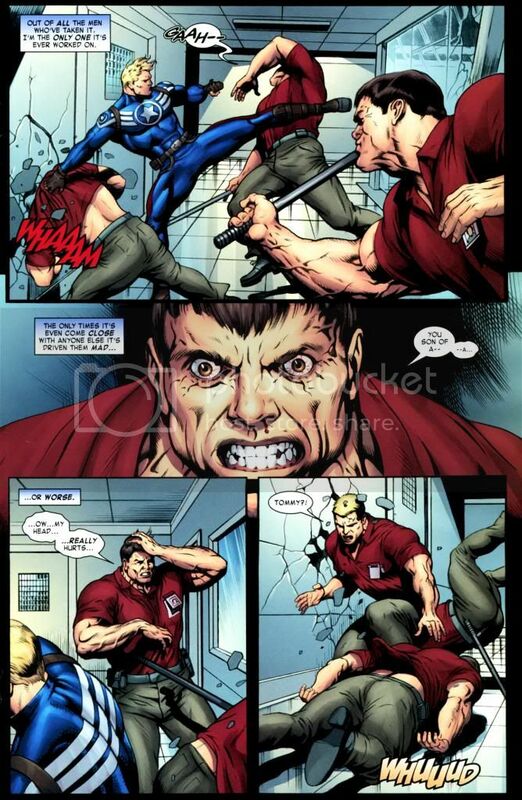 Forces his shield through the doors and mashes it into the wall to stop the falling elevator he was trapped in. 18. Rips the arm off of a robot. 19. Closes hatch doors with his strength. 20. Leaps a few stories up. 21. Forces a steel door open while injured. 22. 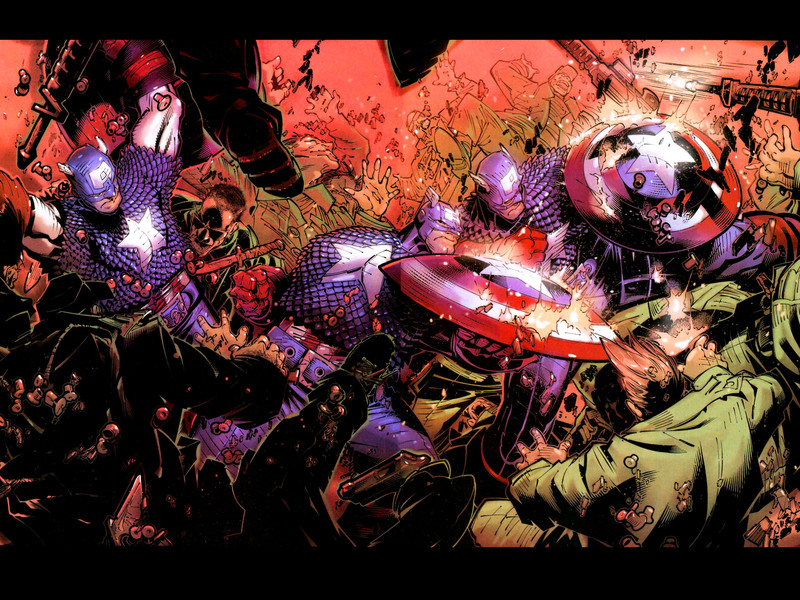 Races across the room and beats the bullets to their target, blocking it with his shield. 23. Catches a torpedo by throwing his shield to deflect the torpedo car upwards. 25. Throws a huge block of concrete at a sniper posted on top of a building. 27. Cable admits to Cap being faster and stronger. 28. Dodges and weaves through bullets, lazers, and explosions. 29. Simultaneously deflects bullets and dodging another bullet with a shield throw. 30. 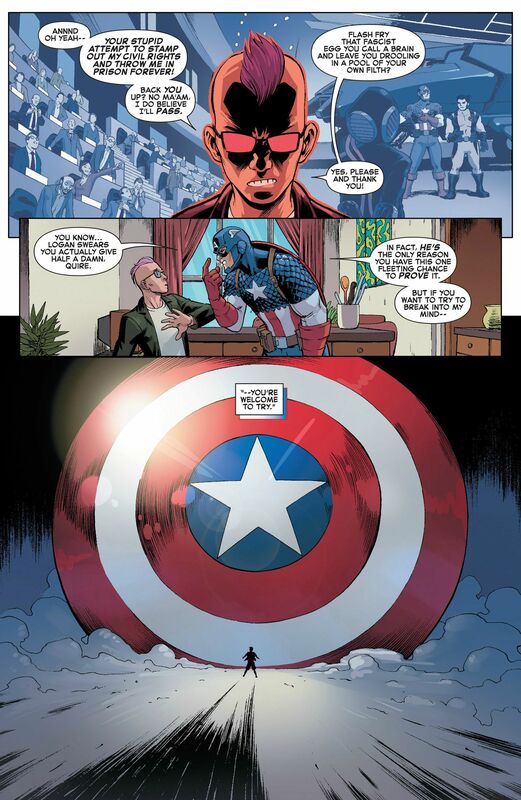 Uses his shield to extinguish and then relights a lighter. 33. Defeats Spider-Man with Spidey running away. 37. Stalemates T'Chaka (T'Challa's, the modern Black Panther, father). 38. Throws shield fast and accurate enough to catch up with a missile that held Falcon bound to it. 39. 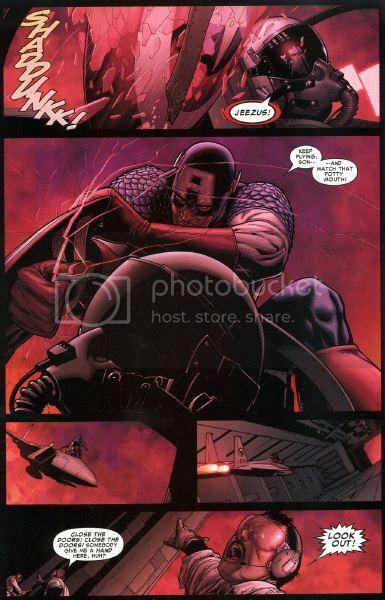 Severs Red Skull's arm with a shield throw. 40. Sees faster than bullet speed. 41. Shield throwing ricochet takes out an opponent. 42. Takes out a military helicopter with great accuracy. 43. 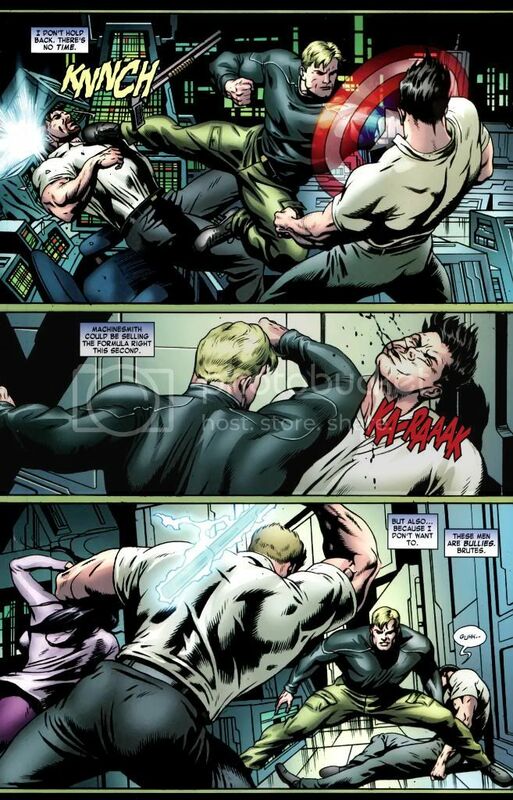 Draws blood from the Hulk with a shield bash. 44. Knocks Colossus off his feet. 45. Explains to Nick Fury how he was able to defeat Lady Doctor Octopus and Hobogoblin when he was ambushed at his house. 46. 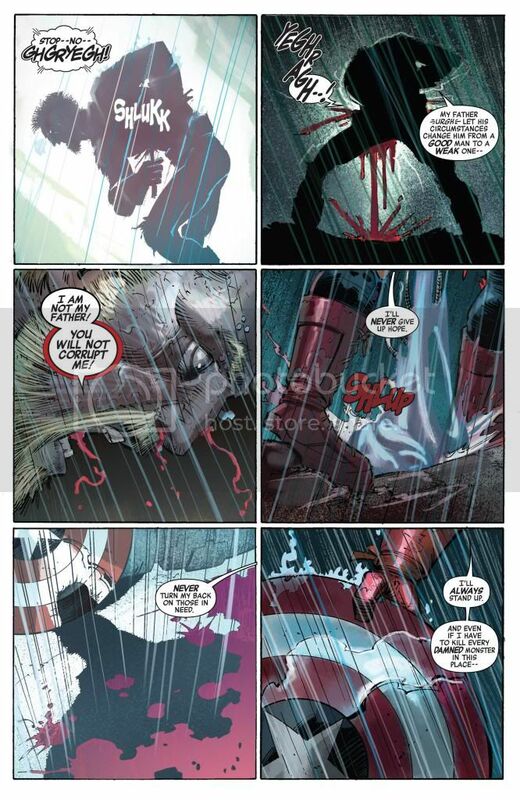 Holds his own against Wolverine. 47. 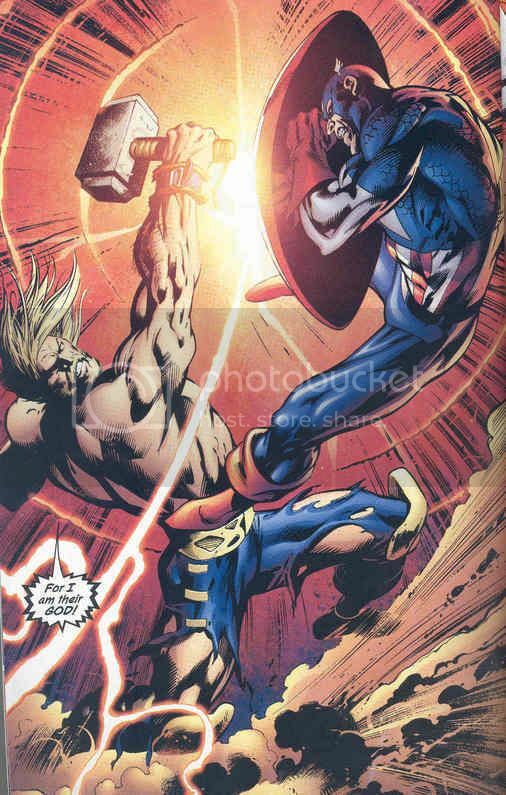 Shield is capable of withstanding a blast from Mjolnir. 48. 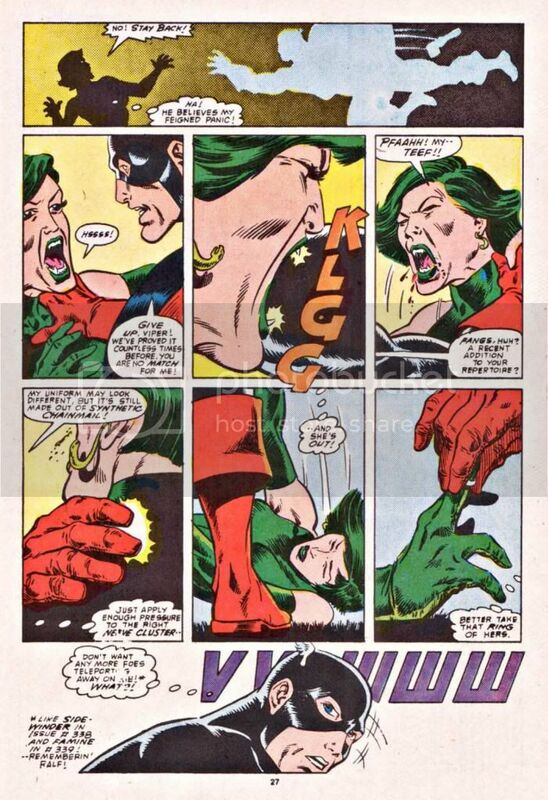 Uses mastery of pressure point strikes to incapacitate the Hulk. 50. Lands some blows on Nightmare. 51. Holds his own against Carnage. @superman52445: Dude. A good chunk of those have been done by Peter. @tanakaclinkenbeard: does spiderman proves worthy of thor hammer?